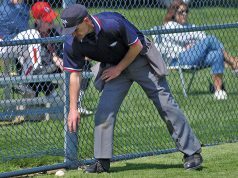 Baseball is played without a clock, but increasing game times are very much on the minds of many involved with overseeing the game, particularly at those upper levels where television contracts and drawing fans into seats are big concerns. 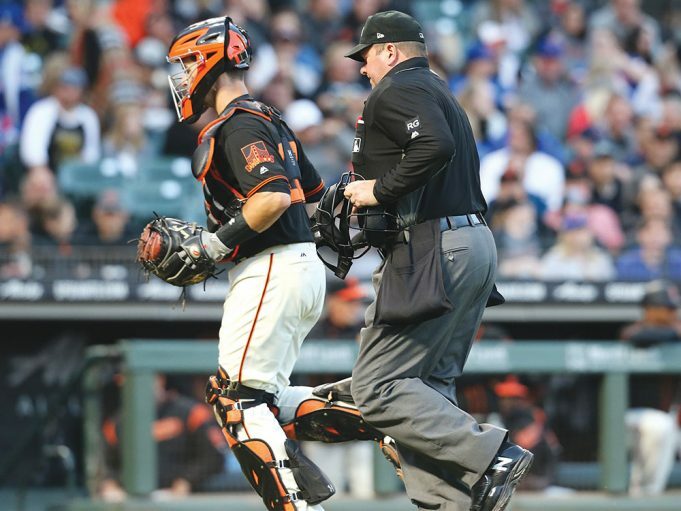 With an eye toward keeping games moving, MLB effectively eliminated the third-to-first move (by treating first and third base the same — a pitcher can’t feint there) and instituted no-pitch intentional walks. Minor League Baseball is testing visible pitch clocks. Last year, the NCAA allowed the Southeastern Conference to test coach-to-catcher electronic communication to speed up pitch-calling. 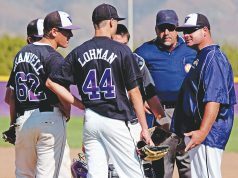 For a game that doesn’t run on a clock, baseball is a game that benefits from a certain pace of play. Not that it needs to be rushed, but there’s dead time that needs to be managed better. And, as umpires, we’re not getting paid by the minute.